Every year Gerber announce a new “spokesbaby” who will be featured on all its marketing products and in 2018, the baby magnates chose a picture of a cute little boy in a bow tie with a wide grin. What’s notable about the choice is that Lucas Warren is the first baby with Down’s Syndrome to win Gerber’s “baby of the year” photo competition in the company’s history. Winning “baby of the year” also comes with a $50,000 prize, which Lucas’ parents are putting towards his education. 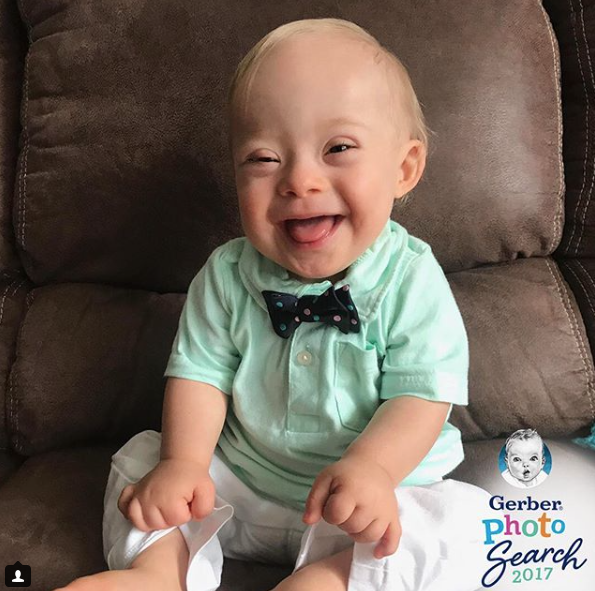 Be the first to comment on "Gerber appoints first spokesbaby with Down’s Syndrome"